Bio: Our chocolate COSMO was born on February 5, 1989 in Northern California. When he was 11 his parents enroll in a talent that won. It was at that moment when a publicity agent became his manager and took him to Los Angeles where he got the role of Young Adam Meiks, in the movie "Fraility". He also played supporting roles and gave birth to Henry Sturbuck in "Just a dream", for which he received the award for Best Performance in a TV movie, miniseries or young leading actor of "Young Artist Awards". Later I had a new challenge: to show his skills on the waves of the beaches of Southern California to play the role of surfer "Local Boys". But the role that gave him real fame found him in 2003 when PJ Hogan, was looking for a teen actor who gave life to one of the classic heroes of children's literature. 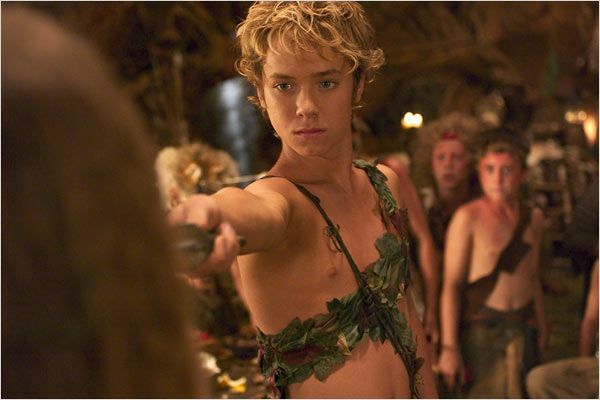 Peter Pan After that success skyrocketed and has participated in dozens of films. His recent projects were "Into the Storm" and "Animals" in 2014.